If you are unfortunate enough to only have access to mobile broadband or satellite broadband, then chances are you will need to keep a close watch on how much data you use over the month. These plans have a limited allocation (or quota) and you will either be charged excess usage fees, have your internet shaped (limited speed) or have no internet access at all, if you exceed your monthly quota. As a result it is important to manage your bandwidth usage, and there are a few ways to do this. One of the most common causes of excess usage is system updates. In the case of Windows 10 PCs, these updates are mandatory and can be large, especially for feature updates. There is a way to prevent automatic downloads on Windows 10 by changing your network setting to a metered connection. Go to Start > Settings > Network & Internet > Wi-Fi > and then either Advanced or your Connection name. Set Metered Connection to On and you will now be prompted when updates are available. It is still advisable to apply updates regularly, especially security updates, but at least with this setting on you can choose when to download them. iPhones and iPads are also bandwidth hogs when it comes to updates. These can be as large as a gigabyte for major updates. Apple does not make it easy to prevent these updates but if the pre-requisites aren't met then it will not download the updates. In particular, the device needs to be on charge and connected to a wifi network. Disabling wifi when you charge your phone is one work around. For other options take a look at this post (https://discussions.apple.com/docs/DOC-9741). It is possible to restrict automatic updates of Apps on iOS devices. This can be done by going to Settings > iTunes and App Store and disabling all the options under Automatic Downloads. This way you can choose to update Apps when you have the bandwidth available. If your updates are not causing your bandwidth usage then it may be the content that you are downloading. Video streaming will quickly use up bandwidth, this includes the likes of Netflix, YouTube, Facebook and Instagram. Any site that shows videos has the potential to eat into your precious monthly quota so keep a watch on the sites you visit. Unfortunately there is a big disparity between prices for data on mobile broadband and other forms of broadband. Until this improves, it pays to be careful about what is download over these expensive connections. Ransomware has been making the news lately with the WannaCry and, more recently, Petya strains grabbing the headlines. These threats were so dangerous because they easily spread to unpatched computers. The reason these malware attacks were so effective was because they used a zero day exploit that was developed for cyber attacks by the U.S. National Security Agency (called EternalBlue). The exploit was made public by hacking groups and Microsoft did develop patches to protect their systems, but the issue is that many systems remained unpatched resulting in outages to many businesses. More exploits are being released. The CIA hacking tools were released on Wikileaks in March 2017 (https://wikileaks.org/ciav7p1/) which will no doubt lead to further malicious threats being released in the wild. So what is a patch? These are software updates to the system developed by the software vendor. Microsoft regularly releases patches to improve performance or fix security flaws on Windows systems. These show up as Windows Updates. It is a good idea to apply these updates as they are released. In fact, Windows 10 doesn't give you the option, it enforces the updates automatically. This does require internet access in order for the updates to be downloaded though. So the computers most effected by these exploits were running older Windows systems (mainly Windows 7) and Microsoft took the rare step of releasing a security patch for Windows XP (which is no longer supported and doesn't get security updates any more). Even though WannaCry preceded Petya, many systems were still impacted when Petya was released. Initially it was thought that Petya was another ransomware threat but it turned out that it was not possible to get the encryption keys and the email address used to contact the criminals was shut down, making it impossible to get in contact, even if a company wanted to. It would appear that Petya was written to destroy data while acting like ransomware. As this threat first appeared in the Ukraine, it would seem that they were the initial targets of the attacks, which subsequently spread to the rest of the world. With the continued release of these exploits that are used by nation states for cyber warfare, it raises issues about disclosure to the software vendors. Is it ethical for a government to withhold these zero day exploits from the vendors, especially when they can be used for criminal purposes? More to the point, it has become critically important that companies maintain regular updates to avoid being attacked by malware. It is surprising to me that many companies do not stay on top of this. For the home user, it is also important to ensure that they maintain regular patching for their system and software they use (such as Microsoft office, Adobe reader, Adobe flash and java etc). Be aware though that updates must come from a trusted vendor site and not a third party website as these can be used to inject malware instead of legitimate software. For more information on how to maintain patching in Windows go to https://support.microsoft.com/en-us/help/12373/windows-update-faq. For Apple Macs check this link https://support.apple.com/en-au/HT201541. For most people, backups are the sort of thing you don't pay attention to until you need them. A number of clients have recently required specialist data recovery as their hard drives had failed and they wanted to get back their precious photos and documents. These services can cost upwards of $1000 so it is generally the last resort. The reality is that hard drives and storage devices do fail, so it is always worth have at least 2 copies of your data. Fortunately there are a number of ways you can do this these days. Cloud services such as Dropbox, iCloud, Google Drive or Microsoft's OneDrive are all ways that you can store documents and photos somewhere other than your PC. Most cloud services offer a free service but this is usually limited to a few gigabytes of storage. This won't last long as photos and videos will easily fill that space in a very short time. Paid options are worth looking at (especially compared to the price of professional data recovery) and if you are bundling in your subscription with other services, this can be good value. In the case of Drive and One Drive, if you are paying for the G Suite or Office 365 packages then you will get increased storage bundled in with those plans (see https://gsuite.google.com.au/intl/en_au/pricing.html and https://products.office.com/en-au/office-365-home). The other benefit of cloud storage is that you can access your files from other devices and locations. 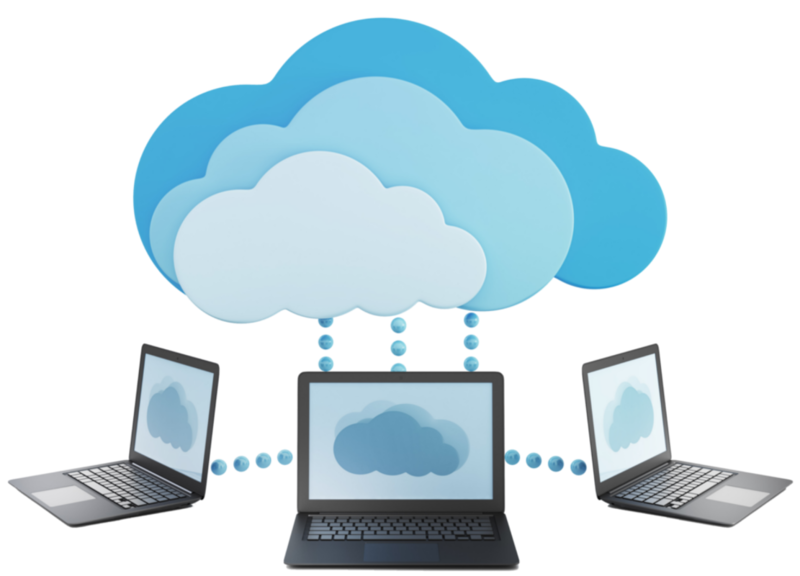 Be aware though that you will need a reasonable internet connection and data quota in order to sync your files to the cloud. A more traditional option is to backup to an external drive. These are readily available from Officeworks, or other tech stores, and a reasonably sized 2 TB portable drive will cost around $100. Windows PCs and Macs require require an initial setup to connect the external drive for backup, but once this is done, they will automatically backup after that. The guide to backing up in Windows 10 is available at https://support.microsoft.com/en-us/help/17143/windows-10-back-up-your-files and for Macs you can access this at https://support.apple.com/en-au/mac-backup. Another option for local backup is to use Network Attached Storage (NAS). These are essentially hard drives that connect to your network and can be used as centralised storage for backups and file sharing (photos, videos etc.). The benefit of NAS is that you can backup multiple computers to the same storage on the network. QNAP and Synology are popular brands and their products start from $150. You may need to purchase the hard drive separately so consider this when evaluating these options. To backup to a NAS device, you will typically use the software that comes with the product. Ensure that your router is fast enough to support the network traffic (at least gigabit ethernet). For more information go to https://www.qnap.com/en-au/ and https://www.synology.com/en-global/support/nas_selector. Cloud and local drive backups are not exclusive and I would recommend using both. Having multiple backups can reduce the risk of losing your data to a ransomware attack or other failure. It is also worth testing your backups by restoring a file every now and then. You don't want to find out after the fact that your backups are not working, so test these regularly. So before your computer storage fails, make the effort and get a good backup, fast! I have previously written about mobile payment options for merchants provided by the major banks and PayPal. In this edition I am going to discuss another point of sale solution which provides a lot of functionality for a shopfront. Square Up is an online provider for payments and point of sale. They started with an Apple only app but have now expanded that to Android devices. The square app can accept payments through these devices using a card reader which you can purchase from them ($59 for the contactless card reader or $19 for the chip reader). Credit card payments processed through Square attract a flat rate 1.9% fee. The benefit of square though is not just in the card processing. In fact, you don't even need to use the payment gateway to access the extensive features of the point of sale app. The app provides extensive ability for creating shop items and can track insights on purchases and repeat customers (if the details are added). Customer feedback is incorporated into the receipts provided via sms or email. If you already have a payment gateway then you can record the transaction as a paid item and this is tracked against your sales. Logging into the Square Up web portal provides details on sales history and sales items. This is a very useful resource for small businesses as it provide insight into the top sales items and sales times as well as a number of other metrics. It is also possible to expand the solution to multiple locations (if you have a number of shopfronts). Square Up also provide an employee management function for $3 per month per employee. Employees can log their time into the app and it also allows restriction of access to certain functions per employee. This may be useful for more complex businesses that have multiple employees. So for a free app it provides a lot of functionality and can either be used as your payment gateway provider or with an existing provider if you have one. For more information go to the Square Up site at squareup.com. It is common these days for software to be available for free. While this has made it easier to access software, vendors still need a business model that generates revenue for them to support the development and maintenance of these products. Anti virus products have followed this trend and there are now a number of free and paid products available. Most of these free products work on the basis that you get basic real time scanning protection with additional functionality available as paid options. Yet these products have deep access to the operating systems and as a result are capable of gathering a lot of information about your computer. The information they gather can be used for marketing purposes and this is of commercial value. Some vendors bundle 3rd party products into their installations to make the products commercially viable. So the question becomes how is your personal information used by these vendors? It should be noted that this report was release in 2014 so may be out of date with respect to the latest product versions. In general, it is worth reading through the EULA and privacy policies to understand how your information can and will be used by the vendors. Also be wary of any 3rd party software that is bundled with the free AV product as this may disclose your personal information too. It is usually best to untick the box for add-ons and other products when installing these products. 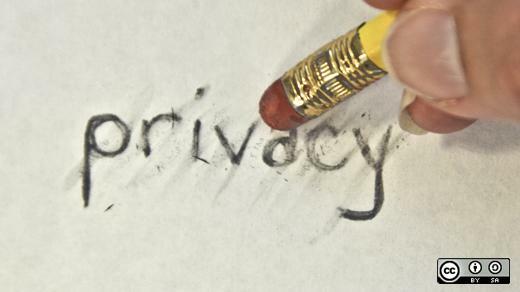 While privacy seems to be a commodity we are happy to trade for free stuff, it is worth considering the implications of what is done with your information. If you are interested in how you can better safe guard your online information take a look at the EFF's surveillance self-defense site at https://ssd.eff.org/en.